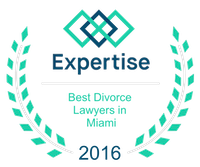 Cheryl Cordoba | Miami Family Law Lawyers Vilar Law, P.A. Cheryl Cordoba is the Paralegal/Legal Assistant of the team and she has over eight (8) years of experience in the legal filed. 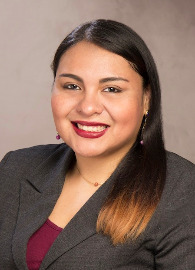 She received her Associate of Arts degree in Criminal Justice from Miami Dade College and her Bachelor of Arts degree in Public Safety Management from Miami Dade College, as well. Her responsibilities include, but are not limited to calendaring potential clients, hearings, depositions, trials, mediations and due dates for various pleadings, meeting with clients, drafting the client's preliminary financial affidavit as well as initial pleadings, assisting the attorney in billing, and in some cases, traveling to the courthouse to file emergency pleadings or retrieve signed orders. She keeps the team focused, on task and together. Ms. Cordoba is growing with the firm and her responsibilities are ever increasing. She is a team player, a good communicator and very organized with an emphasize on details. In her spare time, Cheryl enjoys reading, watching documentaries, traveling, finding new places to eat, and spending time with family and friends."